To be released on 30 April 2019. You can pre-order this product. We should be able to to ship between Tuesday, 7 May 2019 and Tuesday, 14 May 2019. 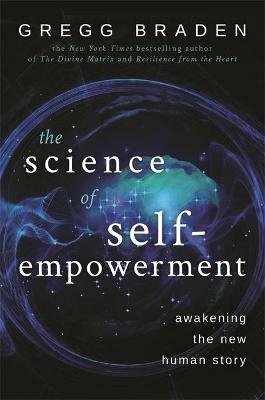 The Science of Self-Empowerment invites you on a journey beyond Darwin's theory of evolution, beginning with the fact that we exist as we do, even more empowered and connected with ourselves and the world than scientists ever believed possible. In this book, New York Times bestselling author and 2017 Templeton Award nominee Gregg Braden crosses the traditional boundaries of science and spirituality to answer the timeless question at the core of our existence - who are we? Join Gregg as he crosses the traditional boundaries of science and spirituality to reveal specific tools, techniques and practices to awaken our deep intuition for self-healing and longevity. He also offers concrete solutions to the social issues that are destroying our families and dividing us as people, including bullying, hate crimes, the growing suicide epidemic and religious extremism. Please note: This title was previously published as Human by Design (ISBN: 978-1-4019-4931-0).